ELIZABETH CITY, NC - Take a look at the all-new high tech 2016 Charger pursuit vehicle! Recently Dodge CEO Tim Kuniskis stated that the brand's market share of police cars has spiked from 2% of the market in 2006 to about 43% of the market and since then, Ford Motor Co., Dodge and General Motors with its Chevrolet Caprice Police Patrol Vehicle, have been actively competing to win over police departments. Dodge's police vehicle lineup draws just as much attention as the brand's Hellcat lineup, acording to Kuniskis, "Think about it, when you are on the street, what car gets more attention? Nothing," he said. "You pretend you are not looking at the police when you drive by, but you are looking." For the past 30 years, the police vehicle market was DOMINATED by the Ford Crown Victoria, but this new highly technological Charger Pursuit is changing the game. Let's take a look at the all-new high tech 2016 Charger Pursuit! 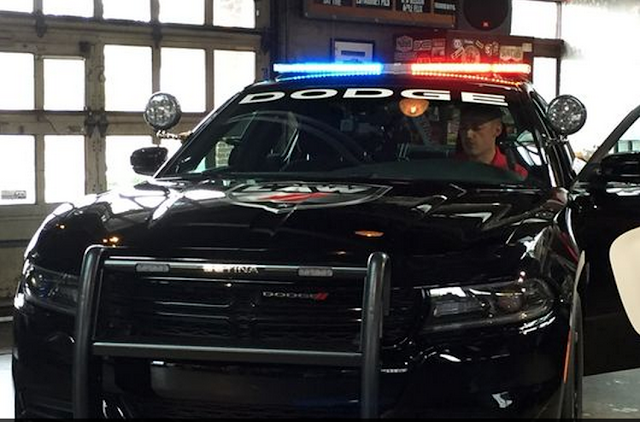 Dodge worked exclusively with local Police Departments in Michigan, and came up with some exciting new upgrades. These upgrades include a new, 12.1-inch U-connect touchscreen system based on feedback from police officers who said they needed more space inside the police car. The new system includes an interface that allows officers to quickly toggle between vehicle controls. All of these feature upgrades came from the minds of actual police officers, a process that Dodge is extremely proud of. It is exciting to see Dodge actively making its mark on the police vehicle market, which is a huge and important one in the automotive industry. Interested in picking up your own Dodge Charger? Stop by today to check out our current lineup, or even take one out for a test drive! Stop by your Camden area automotive dealership today! Perry Auto Group has two dealership locations to serve you better at 1005 W. Ehringhaus St, Elizabeth City, NC, 27909 or 1001 Halstead Blvd Elizabeth City, NC 27909. Stop in for any of your auto or community needs, or feel free to give us a call at (252) 338-9100.